As chair of the Petroleum Market Advisory Committee to the California Energy Commission, I watched gas prices skyrocket after a refinery explosion in Torrance in February 2015. The committee expected tighter supply to drive up prices, as it had done after previous refinery accidents. But we also expected prices to return to normal levels after the refinery resumed production. They didn’t. For the rest of the year, the mystery surcharge was about 48 cents a gallon. What was more disturbing was that it continued at unprecedented levels in 2016 (29 cents) and 2017 (27 cents), well after the Torrance refinery was back at full production. Instead, the surcharge shows up between the refineries and our gas tanks, in the distribution and retailing network. Many characteristics of these sectors suggest that California lacks the competitive pressure of other states. Far more stations here are owned by refiners or have long-term contracts that give the refiners significant control over gas prices. 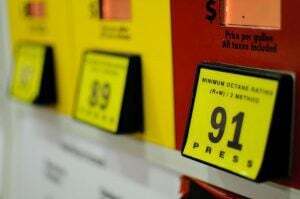 Less gasoline is sold through off-brand stations such as Costco or Safeway, which means they put less pressure on the major brands. In California, the price difference between majors and off-brands averages 23 cents per gallon, according to data from Gas Buddy. Elsewhere in the country, that difference is only 7 cents. Those facts don’t nail down the cause or the exact beneficiaries of the mystery surcharge, and they don’t identify policies that would reduce it. To get to those answers would require a serious and well-funded investigation by the state. Severin Borenstein is a professor at UC Berkeley’s Haas School of Business and faculty director of the Energy Institute at Haas. He wrote this for the Los Angeles Times. Why is it cheaper down south? Commentary: What can one person do to save the planet?